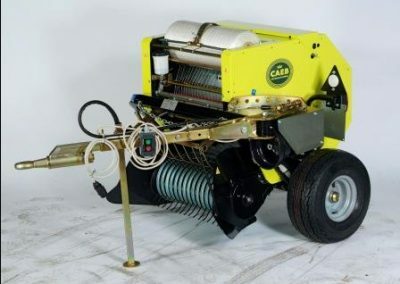 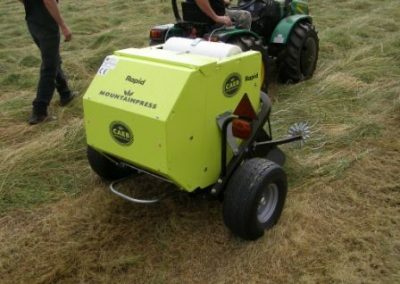 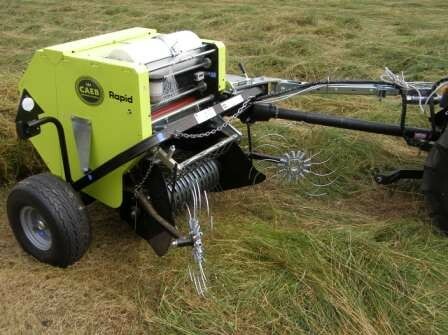 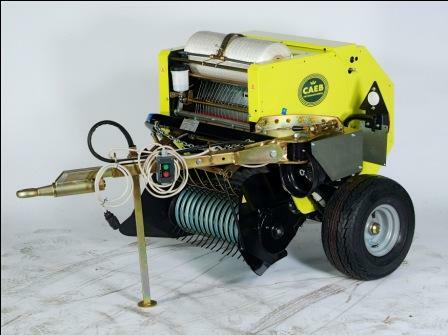 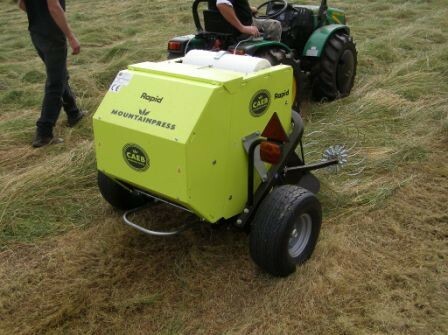 The Caeb fixed chamber variable density baler producing a bale of 500cm x 520cm and about 20kg weight. 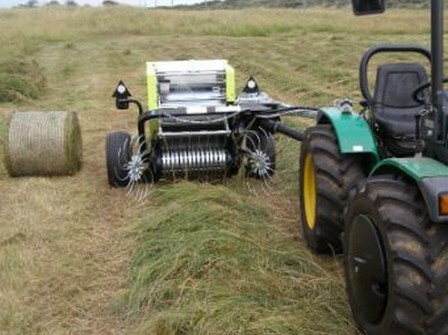 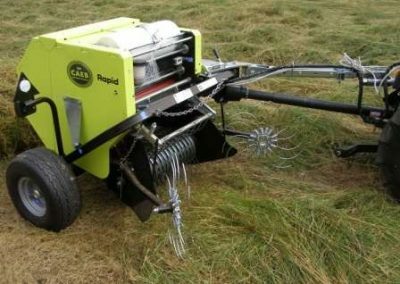 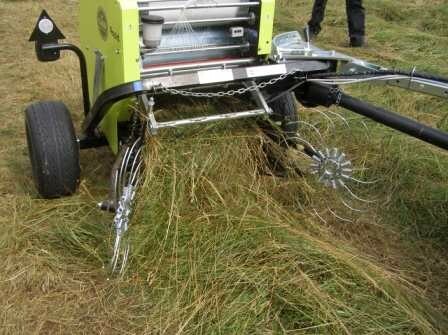 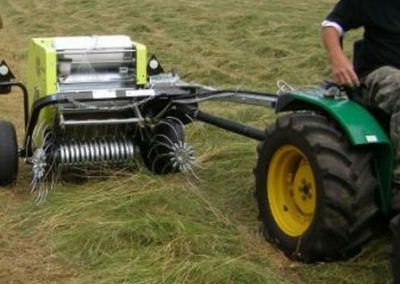 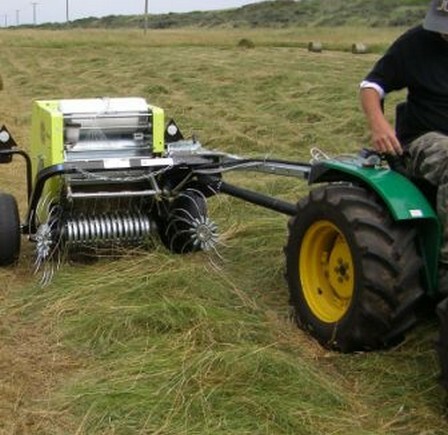 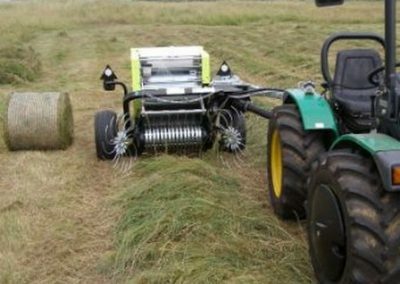 This baler can be used to bale hay, haylage, silage, rough conservation type grasses, bracken, plastic and many others. 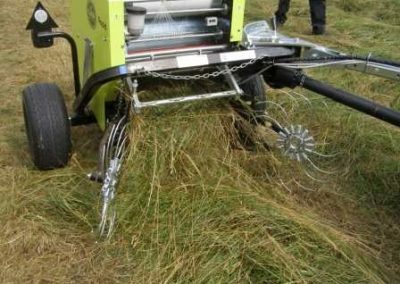 The gathering wheels, auto lube, net binding and bale kicker come as standard. 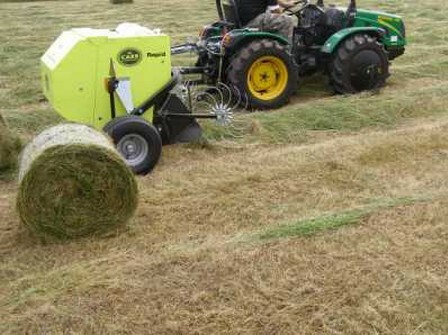 It is 540 PTO drive and the power required is from 15hp.